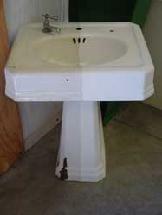 Refinishing a bathroom sink usually completes the transformation into a showcase bath. 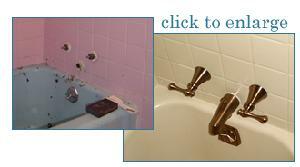 Outdated color is a very common reason for refinishing. Chips and dull color are also common. After refinishing, the sink will look as good as new; all imperfections will be remedied and a brilliant, durable finish applied. 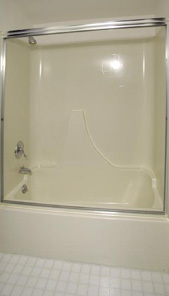 Copyright 2007-2015 Best Bathtub Refinishing Inc. All Right Reserved.